The participants in the World Economic Forum think the global crisis will worsen and they intend to try to shape a new economic growth model based on the experience of developing economies. 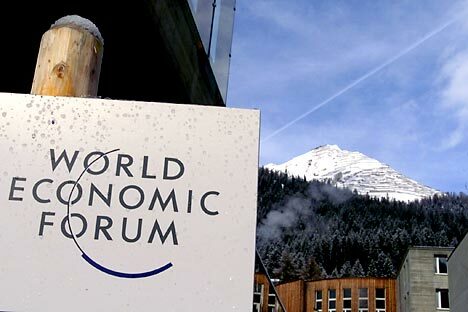 The 42nd Annual World Economic Forum opened Jan. 25 in Davos, Switzerland. Participants in this year’s conference, entitled “The Great Transformation: Shaping New Models,” believe the global financial crisis will worsen until and unless a new system for economic growth is developed. This year’s Davos conference will take a hard look at traditional values – from economic and social success to the role of world banks, from the ability to overcome the economic and political crisis by democratic methods to the benefits of globalization and technological progress. The answer to many of these questions will depend on the development models Asian countries have to offer. More than 10 sessions will be devoted to these countries, six of them to China. Russia will be the subject of one session at the forum under the title “Russia Outlook.” The speakers at the session include former Finance Minister Alexei Kudrin, VTB President Andrei Kostin, First Deputy Prime Minister Igor Shuvalov, Alcoa Chief Executive Officer Klaus Kleinfeld, EBRD President Thomas Mirow, Vimpelcom President Augie Fabela and Thomson Reuters editor Chrystia Freeland. As usual, the Davos forum will be attended by heads of state and government of more than 30 countries. This year, the Russian delegation will be led by Igor Shuvalov, who will also take part in the forum. In comments on the forum, presidential economic advisor Arkady Dvorkovich noted that, in his opinion, the most important meetings at the Forum are not public speeches, but communication on the fringes of the main sessions. The biggest Russian project represented in Davos will be the Russian Direct Investment Fund, to which the state has committed $10 billion on condition that investments are made jointly with foreigners. Russia still has a growth potential about which other countries, for example, crisis-ridden Europe, can only dream, said Kirill Dmitriev, chief executive officer of the Russian Direct Investment Fund, who is on the Davos list of young global leaders. The outlook for Russian business is better, VTB President Kostin agrees, but the liquidity situation has worsened and Western capital markets have virtually closed down. Even so, Kostin does not think a credit crunch for the corporate sector is likely. According to Igor Komarov, president of Russian auto giant AvtoVAZ, market growth will slow down; there are already problems with liquidity that have led to a 1 to 1.5 percent rise in interest rates. Yevgeny Fedorov, chief executive officer of EuroSibEnergo, one of Russia’s largest energy companies. “But we hope that the banking system, with government help, will adapt itself to the current conditions and bring back liquidity to the market,” Fedorov said. “Only the tactics and instruments for achieving strategic goals are being corrected in consideration of the difficult situation in the world economy,” said Kostin. Yet most Russian managers are committed to cost-cutting. Sergei Galitsky, chief executive officer of the Magnit company believes that the crisis is mostly affecting the financial sphere rather than manufacturing. The largest number of Russian delegates to the Davos forum are expected to come from Skolkovo and Basic Element. Basic Element is always well represented at the forum because it is a forum strategic partner, which entitles it to a number of participants. The Davos forum has 109 partners, which buy their way in with 500,000 Swiss francs ($545,000) a year. Other Russian partners of Davos include VTB, Lukoil, Sberbank, Troika Dialog and Vimpelcom.